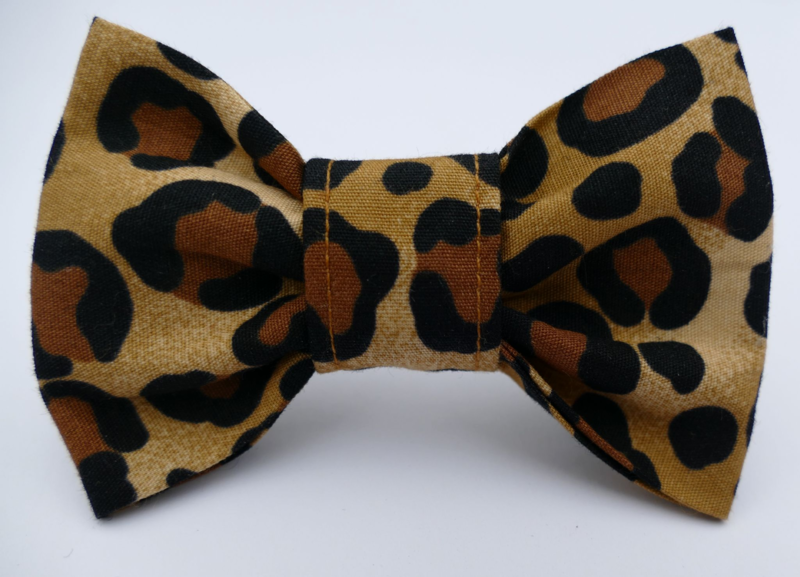 A super-cool and fashionable look for any dog, this leopard print dog bow tie will certainly have your dog turning heads! 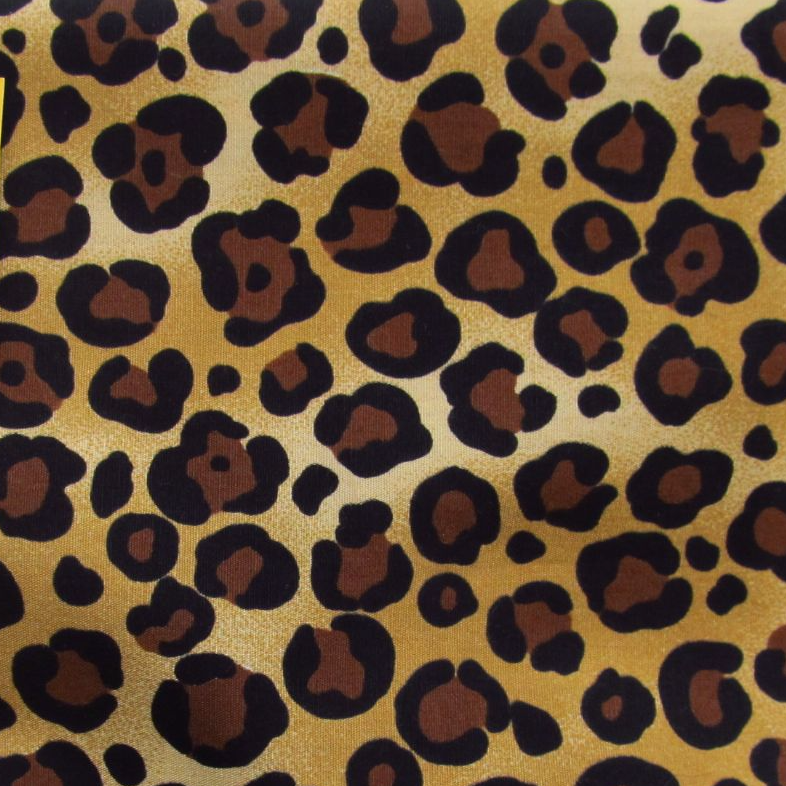 An exotic Leopard print Bow Tie with a gorgeous, funky Leopard Skin print, in shades of gold and black. Perfect, and extremely stylish for any fashion conscious dog, this is a beautiful and very striking 100% cotton print! A great, cool look for any dog, this is the Flintstones/ cave-dog look!! It's a perfect accessory for the Diva dog about town, or in the country!